Quilted Wall Hanging For Sale Original Quilt by Karen Platt. 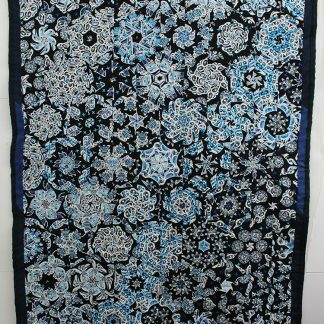 Wow, this quilt sold within one hour of listing, but I am happy to make similar quilts for anyone who wants one. Fabrics etc might change, so if you want to discuss this use the contact form with an appropriate subject or it will go into junk. This attractive hanging is based on a green and blue palette. The green fields are represented by an unusual variety of fabrics including cotton scrim, silk and cottons, which add texture. The green fields also have a hint of red, these represent poppies. The sky is represented by blue fabrics including Lutradur. Some fabrics have been hand dyed, and the piece includes plain and patterned fabrics. Most of the fabrics are natural such as pure cotton or pure silk, but there are some non-spunbonded fabrics such as Lutradur. The backing and binding is pure cotton. The wadding is polyester. For technique, I used a zizag stitch to join strips of fabrics. The fabrics were not cut in straight pieces, but represent the higgeldy piggeldy lines we often see in fields. The changes in colour of the landscape. I used a raw-edge technique. Since the piece is not intended to be handled much, I would not expect any stray threads. It reminds me of a summer’s day and is a piece intended to convey happiness. 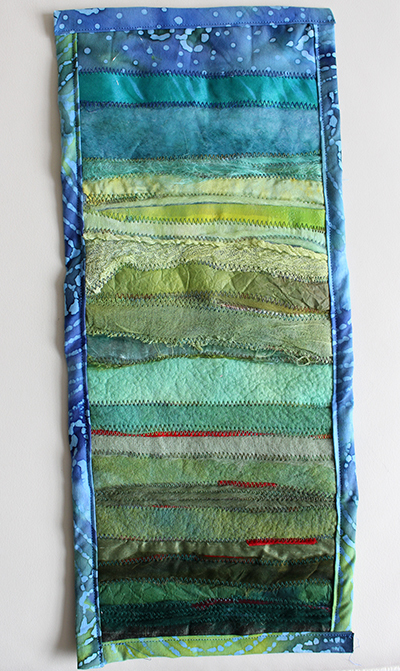 I have called it ‘The Green Green Fields of Home’ and it was inspired by a nearby landscape. 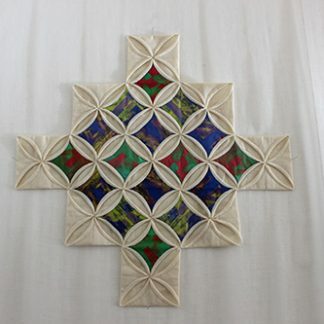 It is a small wall hanging, intended to decorate a wall. You could frame it. Like all artwork, it would be best hung out of direct sunlight to minimise sun damage and fading. It is a one-off, unique piece of quilted work. 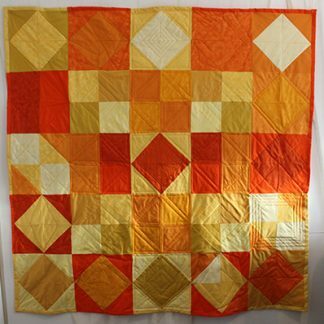 A Karen Platt Original Quilt. Measurements approx 25 x 60cm. (10 x 24″).